I owe a debt of thanks to Donald Trump. 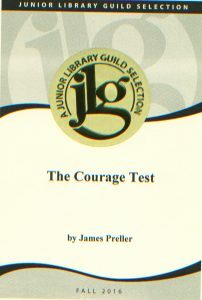 His campaign rhetoric helped inspire parts of my new middle-grade novel, The Courage Test (Macmillan). No book is written in isolation. There is always a personal and historic context, and it’s only natural for outside influences to leak into any manuscript. 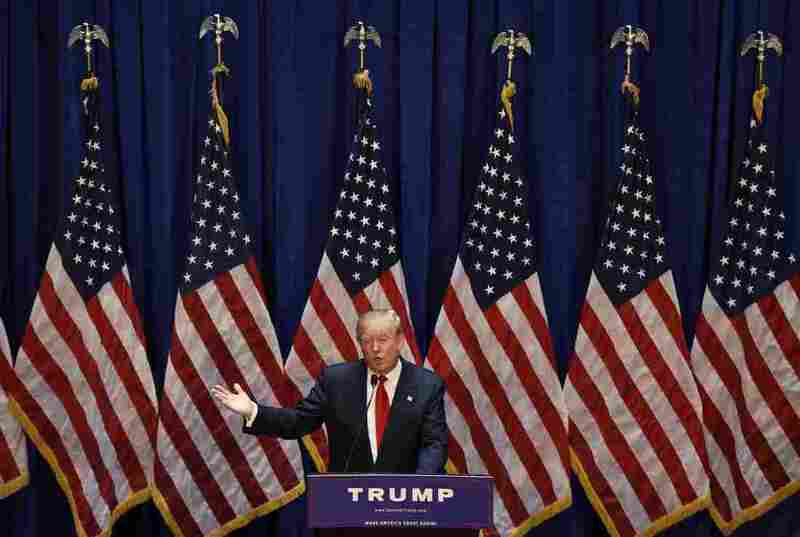 For this book, Donald Trump — as the emergent Republican frontrunner for the presidency of the United States — became the inescapable buzz and background to my thoughts. Back in early 2015, I set out to write the story of William Meriwether Miller, a 12-year-old boy who travels with his father along parts of the Lewis & Clark Trail. They drive, hike, backpack, and paddle through some of the most beautiful parts of America. Along their trip, they experience new places, new people, and (we hope!) gain new insights into themselves and each other. Young Will’s experience parallels that of the original quest of Lewis & Clark and the “Corps of Discovery,” explorers who sought the Northwest Passage, the hoped-for water passageway from the Missouri River to the Pacific Ocean. The more I learned about that expedition, the more fascinated I became. I’d accidentally hit upon a rich pathway into the American soul. The scope of the book shifted under my feet. The Trail was no longer merely convenient metaphor; it became essential fact, a way into the messy heartland. So the book also became an expression of my awe at the exploration made by Lewis & Clark from 1804-06. Theirs was a military journey into uncharted territory — the old maps employed that great phrase, “Parts Unknown,” to label vast areas — the first epic and fateful push west that came to define the American pioneering impulse, for better and for worse. It was a story of discovery and nation-making, of personal bravery and perseverance, of ignorance and arrogance. Most profoundly, their exploration inevitably precipitated the cruel clash of cultures between the American government and the indigenous people who had lived on that land for centuries. And so I set a father and son wandering along that same path to discover parts unknown. They learn something of themselves, but also this: that we are forever remaking our nation in a thousand different ways. How we respect the land, how we treat each other. Each day, we define ourselves anew. The idea of America is not fixed in time. It is a fluid, ever-changing thing. He hasn’t stopped denigrating people since. Just yesterday calling the Somali immigrants of Minnesota a “disaster” for the state. It is one thing to lead a thoughtful discussion about immigration standards and practices; it is something altogether different, and more hateful and fear-mongering, to broadly disparage a culture and a community of immigrants living in our country. It’s also counter-productive. 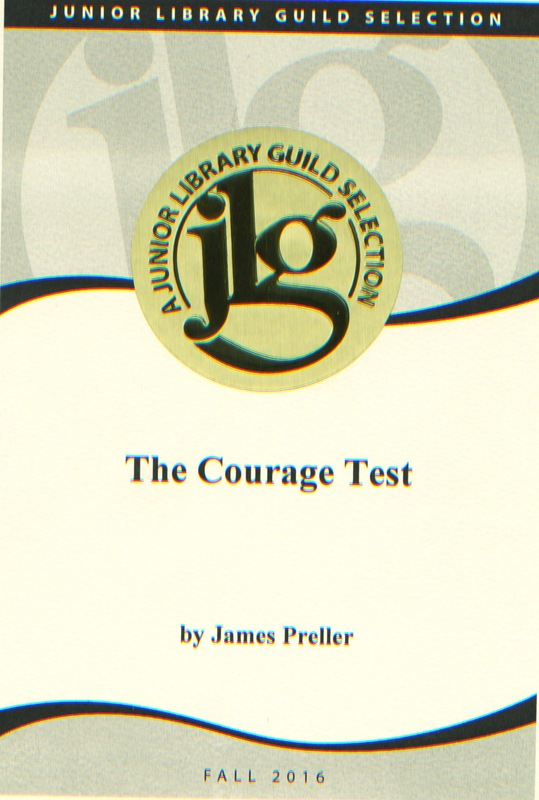 In The Courage Test, I weave in details throughout the book that echo and mirror the explorers’ original experiences (an incident with a bear, adventures in the rapids, encounters with the Nez Perce tribe, etc). To cite one example: protagonists in both time periods meet up with a vulnerable, pregnant 15-year-old girl. 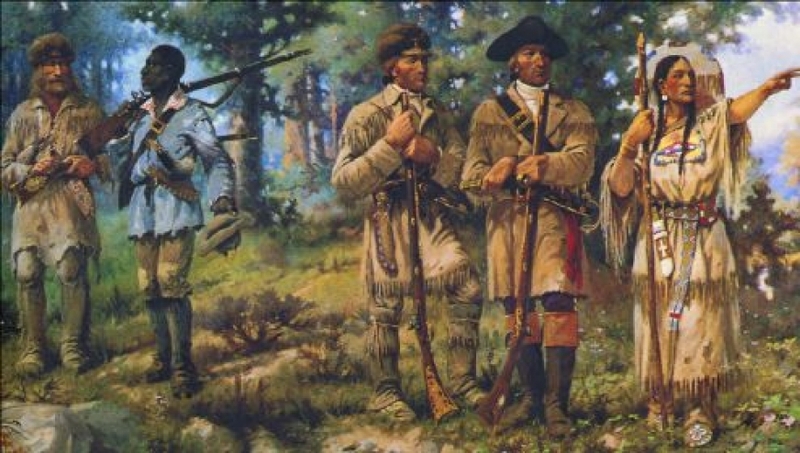 For Lewis & Clark, her name was Sacagawea. She grew up with the Shoshones and was kidnapped by the Hidatsa tribe at roughly age ten. A few years later she was sold to a fur trapper named Toussaint Charbonneau, who made her his wife. 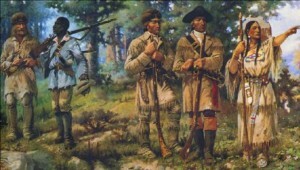 Sacagawea famously joined Lewis & Clark on their journey to the sea. Correspondingly, in the main narrative, Will and his father meet Maria Rosa, also 15 and pregnant. It is strongly intimated that Maria came into the United States illegally from Mexico, a runaway seeking a new life. Painting by Edgar Samuel Paxson. To me, it became very important how Will and his father responded to this girl. Because it would not only reveal their character, but it would say something about America, at least a vision of America in which I still believe. In that sense the book became in part my response to Donald Trump. 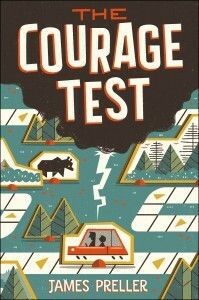 A story about morality, and compassion, and the courage to face the coming challenges with open, generous hearts.